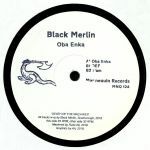 Review: Given he's previously released some seriously creepy, atmospheric techno on Berceuse Heroique and Pinkman, you'd expect Black Merlin's Mannequin Records debut to be similarly unsettling. That's certainly the case with A-side "DEF", a hypnotic and feverish affair where raw and restless, industrial-inspired riffs rise above paranoid, held-note chords and a locked-in drum track. You'll find more brain-melting, razor-sharp modular motifs on the arguably even more intense and wayward "Oba Enka", while closer "Ham" wraps undulating, acid-style electronic motifs around an altogether fuzzier, looser groove. It sounds like it would be capable of inducing vivid hallucinations in early morning dancers, which in our book is no bad thing. 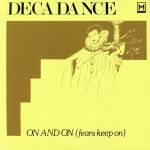 Review: Mannequin Records first reissued Decadence's essential Italo-disco anthem "On & On (Fears Keep On)" back in 2014. 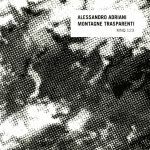 Since every pressing Alessandro Adriano's label has done of the 1983 gem has sold out, they've decided to do another run. If you've yet to acquire a copy, you should certainly cop one of these. 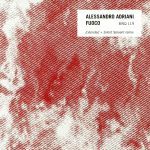 The A-side vocal version is particularly potent; a stylish, new wave influenced chunk of bubbling Italo-disco that's far less cheery and celebratory than your average Italo cut. In fact, it's rather gothic in tone, something not often associated with Italian electronic music of the period. On the flip you'll find an inspired Dub that includes plenty of tape-edits, drum delays and sparsely mixed vocal snippets. We prefer this mix, though both versions are superb. Review: In which Mannequin become the latest label to dip into the vast CDr archives of Legowelt's dormant Strange Life Records. Originally released back in 2007, Mons Testaceum was the debut album from MinimalRome co-founder Heinrich Dressel and the onset of a trilogy dedicated to Monte Testaccio, an artificial mound in Rome composed almost entirely of 'testae', fragments of broken amphorae dating from the time of the Roman Empire. Notable for the prominent usage of Elka Synthex, a legendary Roman synthesizer, Mons Testaceum remains a wonderful curio of the Dressel discography and fans of the Italian's work will delight at the chance to own it on vinyl thanks to MNQ! Review: The legendary Coil becomes the latest group to benefit from the archival touch of Alessandro Adriani's Mannequin label, who present Expansion Naranja, a two track hook up with leftfield Mexican duo Ford Proco on vinyl for the very first time. The story goes Ford Proco met Coil's Peter Christopherson while seeing The Orb play in Los Angeles during the '90s where they exchanged contact details, and months later Christopherson was phoned up to see if he wanted to be an extra in an Ice-T video. Both "Ecuacion De Las Estrellas" and "Expansion Naranja" from this record were record in 1999 and until now have never seen a vinyl release, and across both productions you'll hear Peter Christopherson saxophone, drum and effects work, while the spoken vocals and singing yelps of the late John Balance appear throughout. Review: Second time around for South Florida noise-niks Life In Sodom's 1991 debut single "The Stains", which here comes accompanied by a 21st century rework from Mannequin big cheese Alessandro Adriani. His mostly instrumental version adds a little rubbery electronic funk and weightier bottom end into the mix whilst retaining the drum machine driven, guitar-fired sense of impending doom that marked out Life In Sodom's original mix. That celebrated cut comes in slimmed-down album and extended versions, with the latter working better on club dancefloors. Also worth checking is bonus cut "Phantasmagoria", a much more downbeat and melancholic affair that sounds like it could have been made at any point in the early-to-mid 1980s. Review: The final and most in-depth part of Mannequin's unofficial 'Turin Trilogy' sees the Berlin-based label shine a further light on Musumeci, described as one of the "most rare and unknown Italian Minimal Synth bands from the '80s". Formed in 1985 by ex Rude Pravo member and Mauro M. and Franco G, former noise maker of Errata-S-Corrige, Musumeci was rounded out by the addition of Laura G. (ex-keyboardist of Rude Pravo) and vocalist Paul C. Together the band recorded and self-released two demo tapes that align them in the canon of angry primitive electronics alongside DAF and Severed Heads. Having initially featured on the second Danza Meccanica compilation from Mannequin, the Schwarz Morgen / Zusammen LP offers a more conclusive portrayal of the band featuring some thirteen tracks culled from those two rare tapes. Review: Under the Nocturnal Emissions alias, Nigel Ayers has been making inspired sound art and experimental ambient music since 1980. In that time, he's put out many fantastic releases, with 1988's cassette-only "Spiritflesh" amongst the most beguiling. Here issued on vinyl for the very first time, the album sees Ayers and a small group of collaborators create woozy ambient soundscapes out of a limited range of instruments and a large number of manipulated and processed field recordings (according to Mannequin's accompanying liner notes, these are mostly of various animals and birds, though such is the tape trickery you can barely tell). The results remain utterly spellbinding, as if Chris Watson had sat down with Brian Eno to create something magical out of his noted nature recordings. Review: As one of the most important female pioneers in synthesis and early computer music, Doris Norton's career is celebrated with a trilogy of reissues on Mannequin. The Artificial Intelligence EP was originally released in 1985 and saw the the Italian-born producer pursue her trademark avant-garde style. Featuring powerful early electro and synthpop sounds in the same realm as Kraftwerk and Yellow Magic Orchestra, Norton is said to have composed the album using the alphanumeric keyboard on her Apple Mac (as one of its first endorsers) which was hooked up to minimal equipment - namely the Roland JX-8P. This albums follows the reissue of "Norton Computer For Peace" (1983) and "Personal Computer" (1984) by the Berlin based imprint. Review: You know an artist is on to something good when the records they release sound like no one else. Police Des Moeurs' releases certainly fit into this category. Since the turn of the decade, the synth-wave duo has delivered a string of singles and a pair of albums shot through with paranoid darkness. Of course, their influences - be they the industrial funk murkiness of Cabaret Voltaire, the synthesizer-driven atmospherics of minimal wave or the attitude-driven roughness of post-punk pop - are easy to identify, but are still moulded into thrilling new shapes. Dedales, their third album, ticks all of these boxes, but also sees the stylish twosome incorporate some previously unexplored inspirations, most notably Tangerine Dream, blustery synth-pop and early electronica. It's a blend that frequently hits the spot. Next online in 7 hrs 43 mins.